Lawtons Pies Ltd understands that your privacy is important to you and that you care about how your personal data is used. We respect and value the privacy of everyone who visits this website,www.lawtonspies.co.uk(“Our Site”) and as described in Parts 5 and 6, below, we do not collect personal data about you unless you contact us. Any personal data we do collect will only be used as permitted by law. 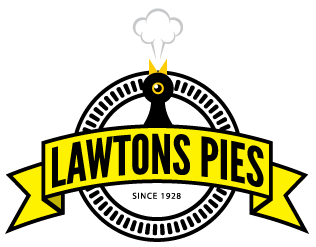 Our Site is [owned and] operated by lawtons pies ltd, a limited company,[registered in England under company number 07261550]. The right to access the personal data [we] hold about you. Part 9 will tell you how to do this. The right to have your personal data rectified if any of your personal data held by [us] is inaccurate or incomplete. Please contact [us] using the details in Part 10 to find out more. The right to be forgotten, i.e. the right to ask [us] to delete or otherwise dispose of any of your personal data that [we] have. Please contact [us] using the details in Part 10 to find out more. The right to object to [us] using your personal data for a particular purpose or purposes. The right to data portability. This means that, if you have provided personal data to [us] directly, [we] am using it with your consent or for the performance of a contract, and that data is processed using automated means, you can ask [us] for a copy of that personal data to re-use with another service or business in many cases. Rights relating to automated decision-making and profiling. [We] do not use your personal data in this way. For more information about [our] use of your personal data or exercising your rights as outlined above, please contact [us] using the details provided in Part 10. Subject to the following, [we] do not collect any personal data from you. [We] do not place cookies on your computer or device, nor do [we] use any other means of data collection. If you send [us] an email, [we] may collect your name, your email address, and any other information which you choose to give [us]. If [we] do collect any personal data, it will be processed and stored securely, for no longer than is necessary in light of the reason(s) for which it was first collected. [We] will comply with [our] obligations and safeguard your rights under the GDPR at all times. For more details on security see Part 7, below. As stated above, [we] do not generally collect any personal data. If you contact [us] and [we] obtain your personal details from your email, [we] may use them to respond to your email. Any and all emails containing your personal data will be deleted no later than 1 year after “the subject matter of your email has been resolved.”You have the right to withdraw your consent to [us] using your personal data at any time, and to request that [we] delete it. [We] will not share any of your data with any third parties for any purposes [other than storage on an email server]. If you want to know what personal data [we] have about you, you can ask [us][for details of that personal data and for a copy of it (where any such personal data is held). This is known as a “subject access request”. [We] will respond to your subject access request within [(less than one month)and, in any case, not more than] one month of receiving it. Normally, [we] aim to provide a complete response, including a copy of your personal data within that time. In some cases, however, particularly if your request is more complex, more time may be required up to a maximum of three months from the date [we] receive your request. You will be kept fully informed of [our] progress.